Is it possible to retrieve deleted text messages on Android phone? Don`t you hate when it happens, you lose an important message. You might have erased the message by mistake or you might have updated the phone but somehow some of the phone data was lost. What you want to do is, stop using the phone you don`t want the message to get overwritten by something else. Put your phone on “airplane mode” so that there are no messages coming in. When that is done turn it off. To be able to retrieve deleted texts on an Android phone depends on the make and a few other things. Here are two things to try and get your messages back. One of the best data recovery program for Android is the Wondershare software. It recovers lost media from all Android phones, very easy. The program recovers photos, videos, audio and documents. The one thing it does not recover though is text messages. 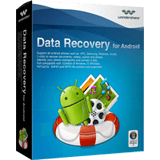 Read our Wondershare Data Recovery for Android here! I have not yet found a recovery program specifically for text messages and the Android phone, there is an Android File Recovery app but to be honest it did not get very good reviews. Programs that work well are Recuva, File Recovery or Smart Recovery. Connect your phone to the computer, download your recovery program and follow the instructions to restore and retrieve your phone data. For more info click here . First you would install the data recovery software on your computer. Then you take your SIM card out of your phone and put it in your SIM card reader. Connect the SIM card reader to your computer and it will start the process for you. The ability to recover and read the messages depends on if the messages where stored on the SIM card, that they were not over written by any other messages and if they were deleted or not. If they were deleted you might not be able to get the message back from a SIM card reader. How to Avoid This In the Future? So how can you avoid having to retrieve messages or data that has been deleted by mistake in the future? The best way is to have a backup. If you have a backup it is easy to retrieve any lost data. Wondershare have a text message backup program called MobileGo for Android phones. This is the perfect way to save you a lot of hassle and keep your music, videos, texts and other data safe. Easy to backup and easy to restore. Check out our MobileGo for Android phone review. I always thought once i deleted that they can no longer be brought back. I’m very thankful there is a way of bringing those text messages back. FonePaw Android Data Recovery is my first greatful choice to scan my device and find out the deleted messages to recover.